I have super long waist length hair and I like to put minimal effort in when maintaining it because I'm lazy; I am all about that effortless hair care. I've previously discussed taking care of long hair with minimal effort, here are a few more tips for making hair care even more effortless. Regular hair cuts might not seem "effortless" but visiting your hairdresser regularly is a fairly effortless way to keep your hair in top condition without relying on products or styling tools. All those split ends will be removed and your hair will look a lot healthier for a lot longer. "Regularly" means something to different to everyone though and I personally don't believe you need to have your hair cut as frequently as every six weeks like some people suggest. I have dead straight hair with a blunt cut so I can get away with revisiting the hairdresser every six months and trimming my own fringe; if you have curly hair, a short style, or damaged hair you might find you need to go far more regularly. Pay close attention to how your hair looks and feels, and go as regularly as you see fit. The right hair products can make a world of difference. Less products on the hair means less build up and less effort when it comes to maintaining a particular style; if you can get away with it, try to minimise the amount of products you need to achieve the style you like with less effort. I've minimised my own hair care routine down to four effective products. I use A'Kin Shampoo and Conditioner, it's gentle on your hair and kind to the planet with no sulfates, parabens, petrochemical cleansers, silicones, mineral oils, artificial colours or fragrance, and it's vegan friendly. To ensure my hair is smooth and silky after washing I use a dry oil, Melvita L'Or Bio, containing a mixture of five oils to promote healthy skin glow and improve hair shine and strength. A little of this goes a long way; it's easy to leave your hair in a greasy mess if you're not careful - caution is advised. I apply a little to my ends before blow drying and then a tiny bit more through the mid lengths once it's dry to achieve smooth hair that shines. 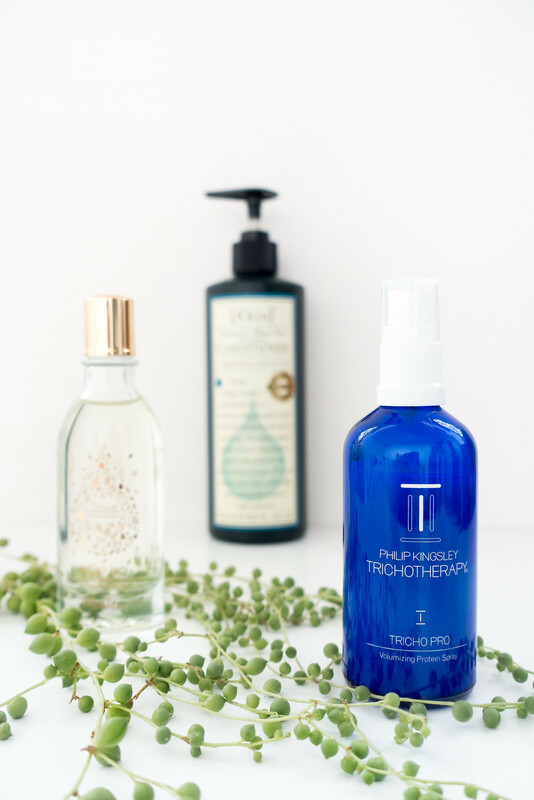 Long straight hair can look lifeless so I like to use Philip Kingsley Tricho Pro Volumizing Protein Spray; not only does it help with adding volume, it moisturises, adds shine and fullness, and improves overall hair condition. Using heat styling tools is not only an effort but they can really damage your hair meaning you'll require more frequent visits to the hairdresser to keep it looking its best. Aside from a few special occasions, I've almost entirely banished heat styling tools from my routine - with the exception of a hair dryer. Air drying is time consuming and if you pick the right dryer you can be done and ready in minutes. I have to be honest and say I wasn't expecting the BaByliss 'Iridescent Salon Pro' Hair Dryer* to be as good as it is; it's the prettiest dryer I have ever seen with its irridecent galaxy-like casing but at £40 it's cheap so I wasn't expecting great results. There are three variable heat and speed settings meaning you have total control and a cold setting, which is actually cold (unlike a lot of dryers) and helps set your style with a sleek finish. The slim nozzle allows for precision styling and the ionic frizz control aids smoothness and shine; my hair is dry within minutes with a sleek finish and no sign of frizz. 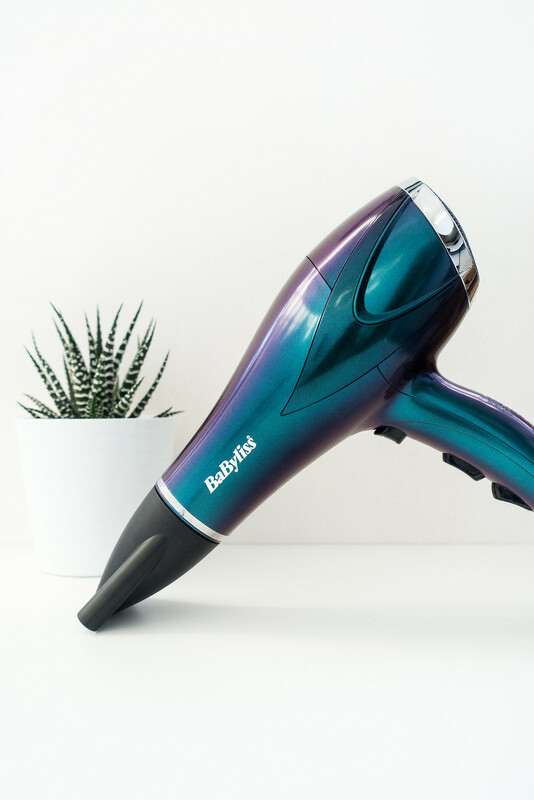 I was pleasantly surprised by how powerful this cheap hair dryer is and it proves how picking your styling tools with care can make a big difference to how effortless hair styling can be.